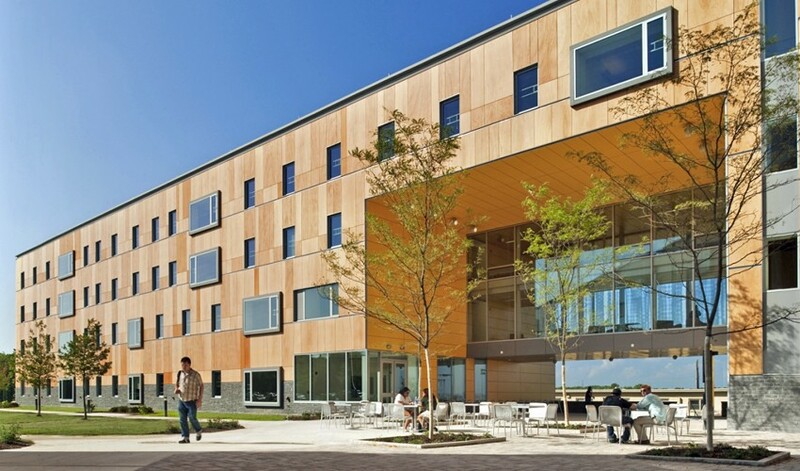 Opened in the fall of 2009, this 120,000-square-foot, LEED certified facility has brought new life to the north end of the Roger Williams University campus. 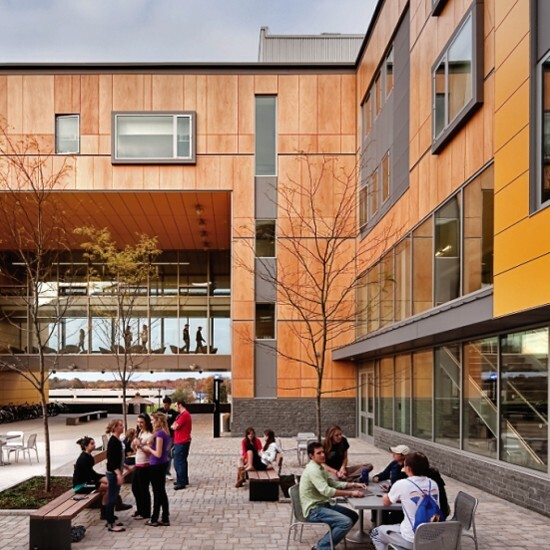 Winner of the 2010 Building Design + Construction Gold Award, the North Campus Residence Hall offers on-campus apartment and suite-style living for 350 upperclassmen. 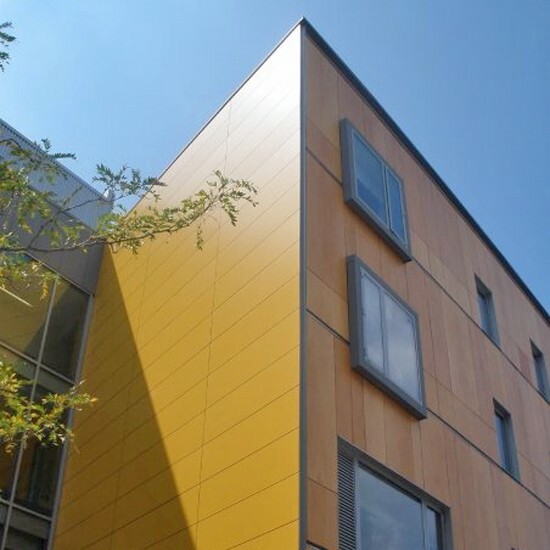 Sunrise’s scope included composite zinc faced panels (rainscreen system), Trespa panels, wood-grained phenolic panels, corrugated panels, curtainwall window and storefront systems, all-glass entrances, interior all-glass railings, and louvers.